In isolation I like the new Monster, which has character, looks good and is modern but still very much a Monster. The new liquid-cooled engine is much better than the old bike’s. There’s loads of mid-range and low-down grunt, and it sounds fantastic for a standard bike. The handling on the S model is excellent, just as happy on road or track, and light and easy to ride. Yes there are a few niggles, a lack of room for feet if you ride on your toes could become annoying, and some would argue there’s too much cooling and piping on show. But this is the best Monster Ducati has ever made. Unlike some Ducatis, the suspension is conventional on the Monster 1200 and doesn’t alter as the rider switches between modes. There are different specifications with the Monster S getting Ohlins while the standard model doesn’t. The suspension works well; especially under load. You can dig the rear into the ground as you wind on the torque and the feedback from the tyres is excellent. My only slight criticism is it feels a little skittish over bumps on the up stroke of the rear shock when it’s not under load. The 1198cc V-twin is very similar to the Multistrada, but with modifications to increase low-down and mid-range power. The grunt gets going early with a satisfying punch from as little as 2000rpm. Lean back and the front will go skywards with a whiff of the throttle in the first two gears, and thankfully the traction control knows the difference between a wheelie and wheel spin… The fuel modes are easy to scroll through and you do use them and they aren’t just a gimmick, and they can be personalised to your own settings. The 1198cc engine is tried and tested so shouldn’t throw up any surprises. Competitively priced in the naked market. 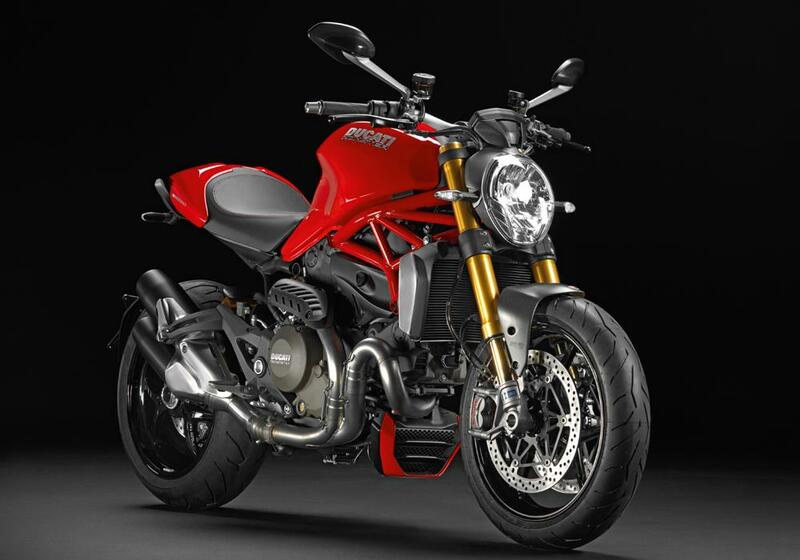 The Monster comes with three fuel modes, traction control and ABS although no gear indicator. 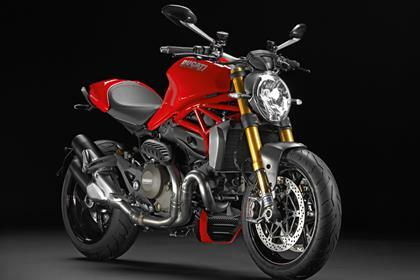 4 owners have reviewed their DUCATI MONSTER 1200S (2014-on) and rated it in a number of areas. Read what they have to say and what they like and dislike about the bike below. Brakes should be a lot better then they feel, although still have plenty for the job at hand. Italian electronics are not the best problems with a poor 12v battery trying to turn over two massive pistons. build standard is fantastic though. 2017 M1200 - a great upgrade! Solid brakes - not quite M40s but still Brembos - and plush enough ride. Could use a suspension tune up but that'll only cost £70! Not as smooth as a 3 or a 4 but that's the beauty - you get this enormous surge of power all at once that gives the illusion of it being faster than its competitors. Very smooth fuelling in Touring mode, not at all snatchy which is quite something for a huge V twin. Doesn't feel lumpy at all like the 2014 M1200 did. Reliability not tested yet but the build quality is exceptional. It feels really solid and all the usually cheap looking parts - switchgear, mirrors etc are well designed. First service was £180 (600 mile) which is a little steep for an oil change! But the value of the bike is solid - it's as cheap as any other super naked when you factor in the low rate finance. All the kit you could want, with the possible exception of cruise control. Up and down quickshifter is £240 - a must! You don't get cornering ABS in any bike cheaper than this. An absolute pleasure although i'd bloody hope so for a £12k toy! Traded up from a Yamaha FZ8 (fantastic bike, fast, comfy and sounds good with an Akrapovic) as this was in another league. I had the standard 1200 Monster for the day when my Yamaha went in for a service, they saw me coming, obviously. I loved it so much, I ordered the 1200s when I came back from my day of galavanting. This is a beautiful bike and the noise it makes really draws attention. I get people staring at her when she is parked up anywhere. You can see little and big boys drooling. With Brembo brakes all round and dual discs upfront, she stops as well as a 1299. Ride is good especially with the adjustable suspension. I am 6'3" and have no hassles riding. She is light weight and chuckable in the corners, highly responsive. Engine is rapid, really rapid. Responsive and sounds brilliant, either standard or with the Termignonis, not the smoothest at lower revs, but that is the nature of twins. One has to use 2nd and 3rd in town to keep the ride smooth, open roads and the torque comes alive, crazily so. Touch wood, no issues as of yet, still early days. Pricey to buy, but to me, great value. Ducati are quite transparent with their fees. Added a small fly screen, reminiscent of the original monsters. Tyres are good as standard, but she will get the Michelin Road pilots later on. Great, purchased from Metropolois in Barnet, recommended. My review is based on just two days of usage but in the absence of any other reviews thought may be useful to others. I was lucky to be given the standard (non S) bike to loan. It is a very comfortable bike (I'm 5'7), seat is plush and comfy, bars in the right place. I didn't find the footpegs to be a problem (size 8). Seemed to offer around 50mpg at motorway speeds and windblast was not a problem at all. Battery – why did Ducati put this by the rear shock? It means you can’t plug a battery optimiser or leads to your heated gear into it. Also has no fuel gauge. It has a real presence so if you are the shy and retiring kind this bike is not for you! Noise is good but a tad loud for my tastes. Looks good, a real head turner. It never felt blisteringly fast but it did pull quickly through the gears. I’m not used to a V2 so probably wasn’t in the right rev band anyway. A smidge jerky at really low speeds. Something I could live with. 3 riding modes probably aren’t needed though. I stayed in Sport mode mostly. I found it entertaining ;-) Overall, if there was no Street Triple in the world I would really consider this bike. A great bike.